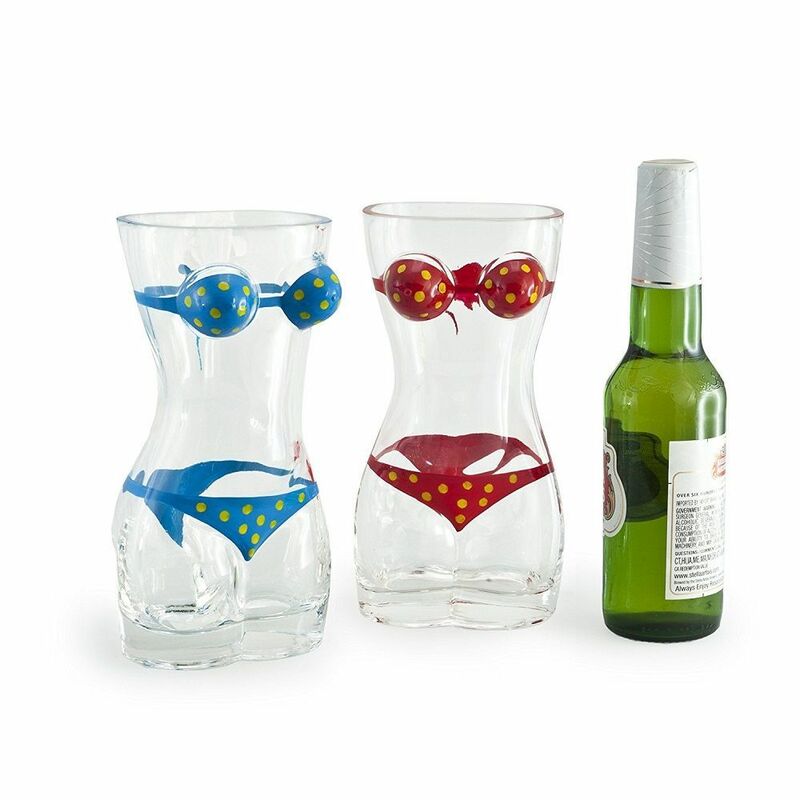 Why choose between a cold beer and a hot babe when you can have both with the Lady Torso Bikini Beer Mug? 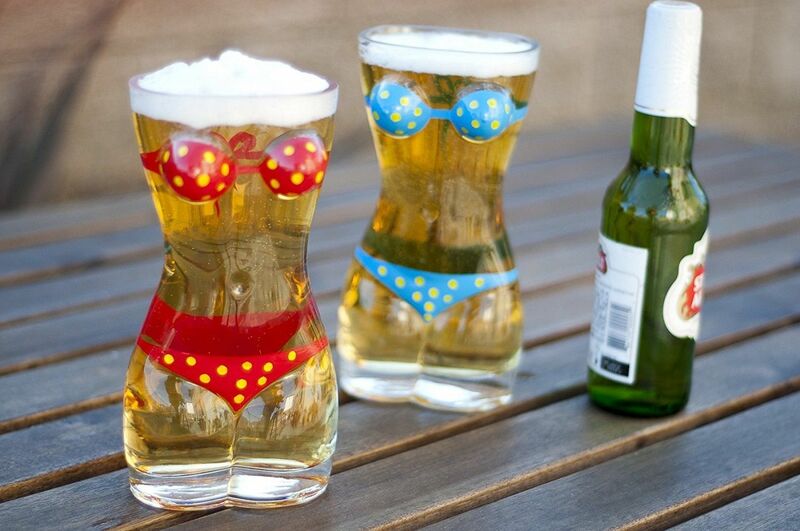 Actually, you can have two beers and two women, because it comes as a set of two. 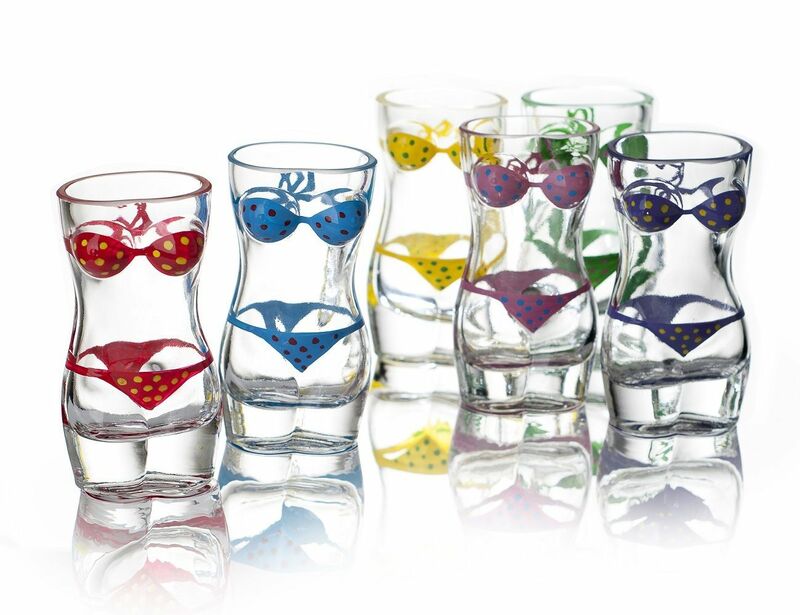 Each glass is a half-liter curvy beer glass shaped as a woman wearing a slinky two-piece polka-dot bikini. 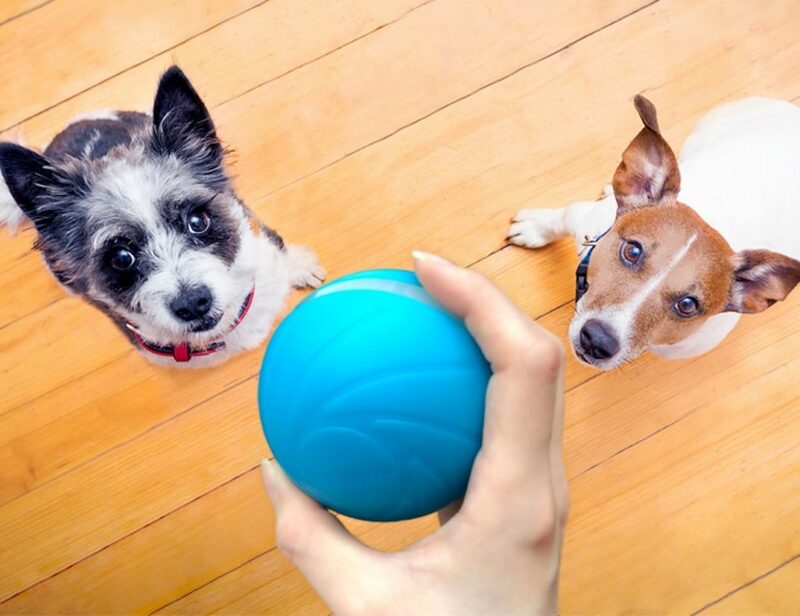 One is in blue, and the other one sports a red bikini.